Robert J. 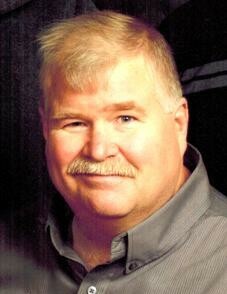 “Bob”, McCormack, Jr., 60 of Fostoria, passed away on Wednesday, January 16, 2019 at his home. He was born on February 11, 1958, in Tiffin, Ohio, to Robert J., Sr. and Joyce (Ferrall) McCormack. On October 13, 1989, he married Michelle “Shelly” Schalk. Survivors include his mother, Joyce of Fostoria; wife, Shelly of Fostoria; sons, Nate McCormack and Nick McCormack, both of Fostoria; sister, Mary (Jeff) Miccichi of Boardman; brothers, Eric (Robin) McCormack of Fostoria, Brad (Suzzane) McCormack of St. Augusta, FL, and Brian (Tamra) McCormack of Ward. SC; and stepbrothers, Mark (Jan) Peck of New Riegel and Tim (Teresa) Peck of Norton. He was preceded in death by his father; and stepfather, Harold Peck. Bob graduated in 1976 from Hopewell Loudon High School and worked as a machine assembler at National Machinery from 1976 to 2017 and was a member of their Quarter Century Club. He was a member of All Saints Parish, New Riegel, former member of St. Patrick Catholic Church, Bascom and farmed the family farm for years. He enjoyed attending and pulling at tractor pulls, traveling to New York and was a handyman. Bob loved his family and taking care of them. His Funeral Mass will be at 10:00 A.M. on Tuesday, January 22, 2019 at All Saints Parish, at the Bascom Site, with Rev. Timothy Kummerer officiating. A Rosary will be prayed 20 minutes prior to Mass. Burial will follow in St. Patrick Cemetery, rural Bascom. Friends may visit with the family from 4-8:00 P.M. on Monday, January 21, 2019 at Hoffmann-Gottfried-Mack Funeral Home & Crematory, 236 S. Washington St., Tiffin, Ohio 44883, (419) 447-2424. Memorial contributions may be made to F.A.C.T. or to Bridge Hospice.